Top: Natural boulder basin with ground finish inside. 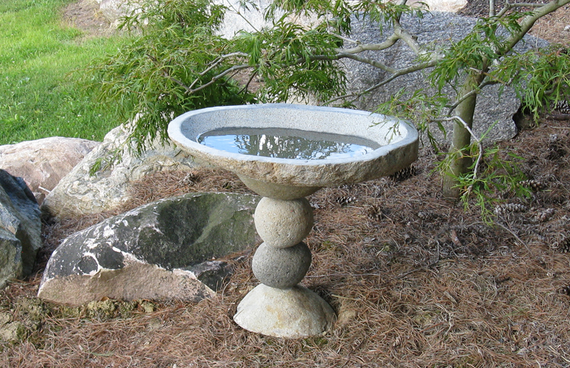 Add a bit of wonder to any backyard with this stacked boulder birdbath that appears to be quite the balancing act. 18-22''D x 21''H, 150 lbs.